Nessus is a vulnerability assessment solution developed by Tenable Network Security. 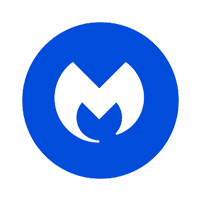 It prevents network attacks, identifies vulnerabilities, and detects configuration issues that hackers use to enter the network. In this article, we cover user reviews and pricing. Ready to try Nessus? Get a free trial. Users who gave Nessus a positive review said that it is easy to use and install. Some of them also commended its preloaded standards which make vulnerability scanning more accurate. Users who gave Nessus a negative review reported that the software lacks a mobile app. Others also complained that its customer support team causes some delays. Nessus Professional costs $2,190/year. Users can also save by choosing a multi-year license which costs $4,270 for 2 years or $6,240 for 3 years. It is used for vulnerability, configuration, and compliance assessments. Users can either purchase the software directly from the website or find a local partner to purchase from. Ready to try Nessus? Get a free trial. 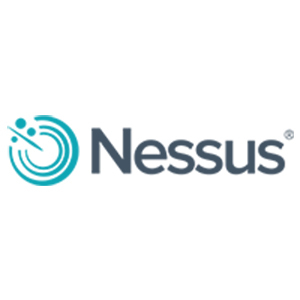 How can Nessus simplify the process of vulnerability assessment? Nessus has pre-configured templates, from configuration audits to patch management effectiveness, to help users quickly understand where they have vulnerabilities. Can Nessus generate customized reports? Yes. Nessus enables users to customize reports based on specific vulnerability types — either by a host or by a plugin. The reports can be exported in a variety of formats which can be sent via email after every scan. Not sure if Nessus is the right fit for you? Read our reviews of all top internet security software or check out one of these three Nessus competitors. The ability to scan for a multitude of compliance requirements makes this a must have for someone who is doing vulnerability scanning. Initial set-up was slightly vague but done so long ago and the newer install was much easier to perform. Providing scanning and security products related to vulnerabilities is a strong point for Tenable. They keep plugins on your scanners updated so you can always keep up with the latest vulnerabilities found on the market. If there’s a major outbreak of a vulnerability, within hours Tenable has a plugin for it, so you can check yourself on your assets. The customer support has become a bit slow. The good thing is that they are knowledgeable and mostly accurate for finding the issues you might have. So, whilst the response might delay more than 8 hours, you’ll for sure get a proper answer for your issue. I wish I had known it doesn’t do external scans. At least for the Nessus Professional product, it doesn’t. Tenable.io with the Cloud Scanners does.